PMKSY is central scheme that aims at providing irrigation facilities to every village in the country by converging ongoing irrigation schemes implemented by various ministries. 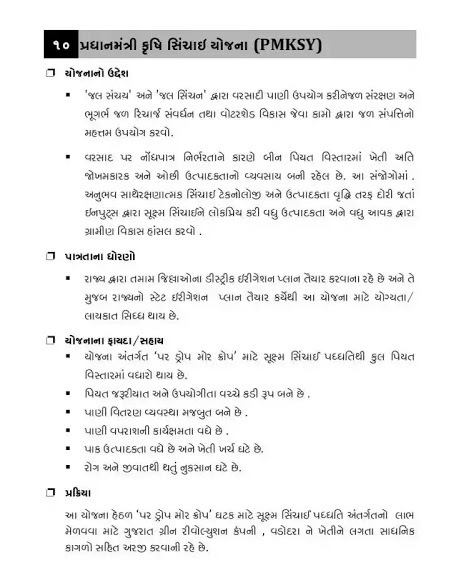 Gujarat States Also Available PMKSY. Due to considerable scarcity of rainfall due to non-availability of rain, there is a decrease in farming The business of risky and low productivity is going on. In these circumstances. With Unbrouh, lead to protective sinchai technology and productivity vibes By inputting micro-bosses through inputs, by increasing productivity and increased revenue To achieve rural development. State has to prepare a Distinction Irrigation Plan of all the States and it If the State’s State Irrigation Plan prepares the eligibility for this scheme / Qualifications are discreet. 》The scheme has been approved by Micro Basis Increases in boom. 》There is a link between the necessity and utility. 》The water distribution system becomes stronger. 》The increase in crop yield and the cost of production. 》Disease and loss of life. Action Under the scheme, the benefit of micro-brochure system restraints on ‘Roaring Rope’ Gujarat Green Revaluation Center, Vadodara and Agriculture related Seeds The papers have to be applied together. 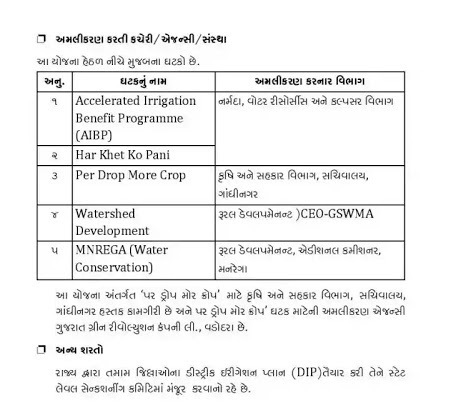 This plan will be called ‘Drought Peacock Rope’ at the Center and Co-operation Department, sub-division, Gandhinagar is the operational operation and the implementation agency for Roop ‘Rock’ Gujarat Green Revolutions Co. Ltd., Vadodara. The state has prepared a Distinction Irrigation Plan (DIP) of all the states by staging it Level supervision needs to be approved.